For several years running, Florida has been one of the worst states for pedestrian deaths in multiple statistical surveys, reporting a 10-year high in fatalities in 2017. 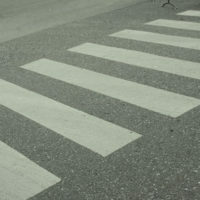 It is incumbent on Florida pedestrians to ensure they are careful – and yet they still may wind up being injured due to someone else’s negligence. If this has happened to you, you need an attorney on your side willing to fight for you to be made whole. There are a myriad of suppositions as to why the Sunshine State is so dangerous for pedestrians, but the most likely answer is that it is a combination of multiple factors. For example, more accidents generally occur at night due to lack of visibility, but the annual Dangerous By Design report from Smart Growth America, an urban planning group, also cites Florida’s generally poor street design as exacerbating the problem. Florida’s cities also have less public transport infrastructure than other metro areas in the U.S., which can add to the number of pedestrians on the street at any given time. Whatever the cause of pedestrian fatalities may be, the numbers show that the problem persists as Florida’s infrastructure ages. Across the U.S., but especially in Florida, both the elderly and people of color are “overrepresented” in pedestrian accidents, given that public transport is often less accessible to these groups, but as a whole, the numbers continue to rise across all groups, with 5,376 pedestrians killed and approximately 70,000 injured in 2015, which was roughly a 10 percent increase from 2014 totals. 2016 saw 5,987 deaths (another rise of roughly 10 percent). If you are struck or otherwise injured in a pedestrian accident, you will almost certainly want to bring suit to try and receive compensation for your medical bills and your general pain and suffering. In order to do so, Florida law requires that you show three criteria: a breach of the duty of care, actual harm suffered by the plaintiff, and a showing that the defendant’s conduct was the cause of that harm (rather than any supervening reason). Pedestrians and motorists both have generally have a legal duty to exercise reasonable care while on the road and to not act recklessly lest they endanger those on the road with them. If you are able to show that the defendant’s conduct caused you harm and was the sole cause of that harm, you have a good chance at showing that the conduct was negligent. Be advised that even if the defendant is shown to be negligent, you may not receive all of what you ask for, as Florida recognizes a concept called pure comparative negligence. This means that whatever percentage of fault that the judge or jury ascribes to the plaintiff will reduce their recovery by that amount. So if you prevail in court and are awarded a judgment of $50,000, but are deemed to have been 20 percent at fault, your actual award would be $40,000 – the amount of the award minus the percentage you were at fault. Accidents do happen, but if they happen to you, it can feel hopeless to try and get your life back on track. The Tampa pedestrian accident lawyers at the Rinaldo Law Group will work with you and do as much of the heavy lifting as possible, so that you can focus on healing. Contact us via phone or website to make an appointment today.